Rolling Stone magazine has posted an ultimate music contest for selected unsigned bands. The magazine will pin the musicians against each-other in a tournament for the prize of being featured on the cover of the magazine. Awesome, right? And guess who is in the competition? The Sheepdogs. I featured the Sheepdogs a while back and you can see the feature by clicking on their name. On March 16, after the votes narrow 16 bands to eight, will be invited into a studio with a major producer before the next round of cuts. When the Rolling Stone are down to two bands, the bands will battle at Bonnaroo Music Festival. 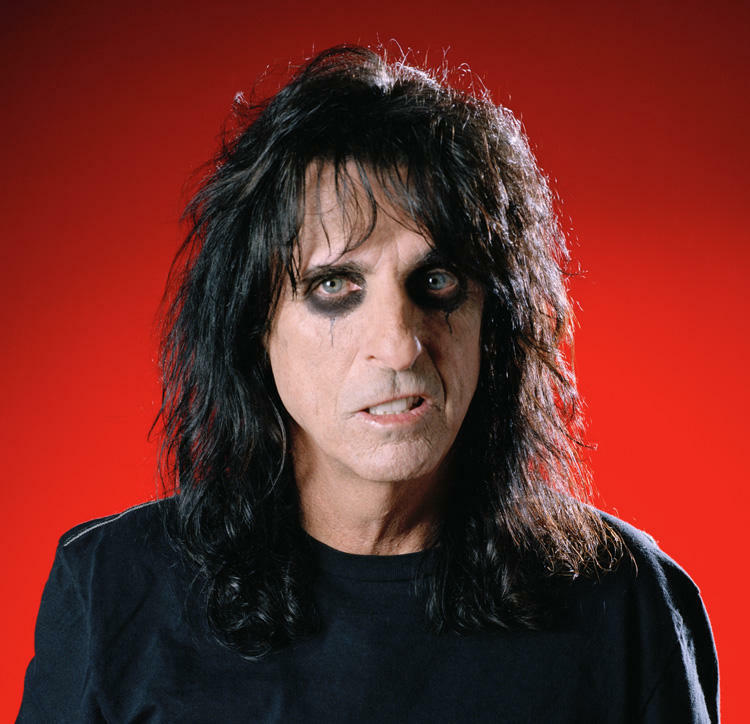 Alice Cooper will be joined by Jackson Browne, David Crosby, Graham Nash and other artists, at a concert in Tuscon, Arizona, to benefit a charity set up to after the Jan. 8 shooting. Mark Kelly, the husband of wounded representative Gabrielle Giffords, plans to speak at the event. The eleemosynary concert will raise money for the Fund for Civility, Respect and Understanding, a charity set up by Ron Barber, a wounded Giffords aide. The event will be held in the Tucson Convention Center and tickets are available at Ticketmaster. I pulled this chart from Business Insider’s Chart of the Day. They pulled it from another source so make sure to check it out. 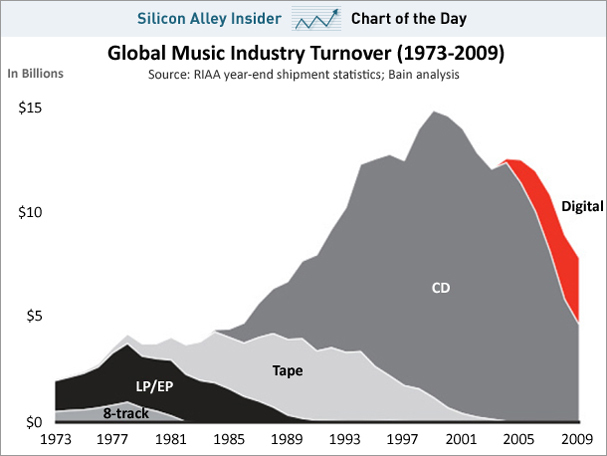 The chart paints a pessimistic picture of Global Music. Digital music sales are significantly down and the future looks grim. It’s a provocative chart. Hey..what da heck son…I like Sheepdogs stuff..Is there hope for the old but ugly Rock and Roll after all…naw…I hear a bit of the Guess Who in their strut..yes? Absolutely. I am hearing some southern rock as well. It’s like straight out of the early 1970’s. Very traditional and lively. It is thought an anomaly in today’s musical climate. But, still very good to hear.